I have done a brand new nail design every 2 weeks since the beginning of the year. Now it’s time for a break. Going back to something simple. A simple manicure is a great way to shake things up. 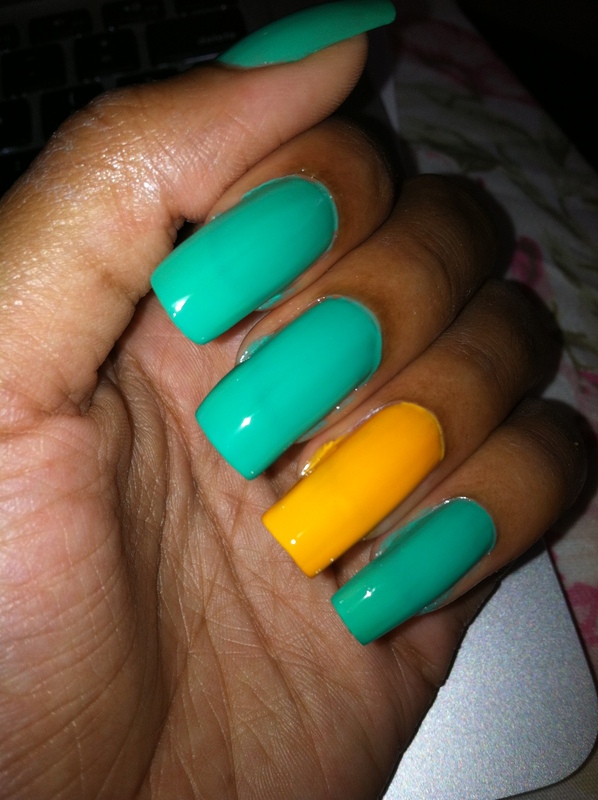 Try a new bright color and it can change your mind about a simple mani. This green shade is from the Color Club polish brand. The mustard from NYX cosmetics. I also cut my nails down quite a bit. You can tell the difference from the last image and this one. thanks…I’ve actually never used this green before. HELLO LOVE UR BLOG PAGE!! FOLLOW ME!! http://WWW.FASHIONLIFE-PEGGY.BLOGSPOT.COM N http://WWW.FASHION-ILL.TUMBLR.COM!! !